Every year I try to reassess what I want to get accomplished Greyhawk-wise and like any resolution they aren't easy to keep. I decided this time to try comparing last year to this year and see what is realistic. 2011: Maintain 2-3 posts a week, here on Greyhawkery. 2012: Maintain 2-3 posts a week on Greyhawkery and once a week on the Canonfire Crier. Greyhawkery was a success. So riding that high I talked the guys at Canonfire into having an official blog. Based on my blog experience and the fact my role there keeps ascending it seems I'll be doling out most of the news on Crier. I just have to balance the content of both. Oh yes, and I have a full year of trying to chase down more interviews for my popular Ring of Five Questions series (some at Gencon). I can't wait. Nothing new here. I sort of failed. Cutting back on the comic I anticipated writing more, which I did technically just not for Canonfire or Oerth Journal. I started a Sea Princes campaign which has been successful and some of my posts on Greyhawkery have been downright article-worthy. So, better luck net year. On the Ull front, I would like to finally publish my Ulakand Gaz. Of course by then I'd like to have a Kester Gaz to go with it. We shall see. Success. 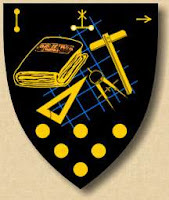 I lead by example and promote any fan articles, blogs or Greyhawk related news here. That one is easy to keep up. 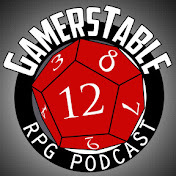 The added benefit is that in 2011 I joined a gaming podcast with my friends called Gamerstable. I get ample opportunities to promote and reminisce about Greyhawk in that venue as well. Fail. Well cutting back from a 1/week schedule didn't help out. I started out strong but by summer I downright took a permanent vacation, except at the end when I put out one last Needfest Special. At this point sadly I am going to have to accept the comic is done and work on a site design into an archive and categorize what 300+ comics I already have. Denis Tetreault deserves alot of respect for keeping me up and running in 2011. I may make comics time to time when something really funny hits me, but for now I would rather come up with something new. Someday. I utterly failed at this one. I have ideas, I even have outlines, but it's a matter of dedicating time to it and deciding on a format. On the bright side there has been a few authors at Canonfire who have stepped up and made some good Greyhawk fiction and I applaud them. For now I'm keen on a resurgence in Greyhawk mapping via Anna Meyer's Flanaess Cartograhic Society. Some people may also know Eric Anondson's map work from Canonfire and having him back on Greyhawk cartography has only boosted interest in the community more. Last year I did my masterpiece of mapping, the South Seas and hopefully I can modestly add something more to the movement. I'm pondering something informative like a trade route map. Speaking of the Sea Princes. My first regular Greyhawk game in years was spur of the moment and very successful in 2011. I finished one story arc 1-3rd level and hope to finish a second story arc that takes the players from 4th to 6-7th level. It's a campaign that we hope to come back to frequently over the year/s rather than run into the ground Adventure Path style. Welcome back Greyhawkers. Up today is another Canonfire.com Postfest article involving the theme of Psionics. Our author this time is no stranger to the call for a Postfest. Kick back and read Psychic Phenomena of the Flanaess by Argon. "When we think of psychics many see mystic guru's or followers of Zuoken from the Baklunish lands. Many of us never think of haunted locales or psychic impressions left behind by those whom walked the Oerth before us. In this treatise you will be exposed to such psychic impressions and their affects on those who fall prey to them." 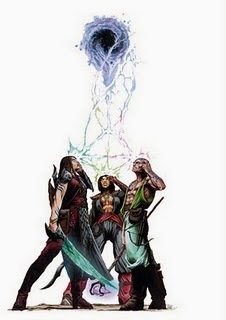 This article is a boon for Greyhawk DMs experienced with psionic rules, yet it can also be beneficial to those who don't normally use psionics but are looking to throw an ancient, mysterious presence at their player characters. Good luck! 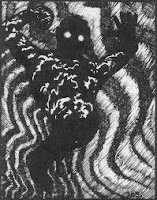 "Psionic powers and the practitioners who use them are not unknown in the World of Greyhawk. Often referred to as mind-mages by the common people there are many who view the wielders of these mental arts as heretics and witches." This is a fully realized and useful psionic organization that has been worked into the existing history of the Flanaess. Thus dungeonmasters with psionic characters can quickly implement this Order into their own Greyhawk campaigns. Enjoy! 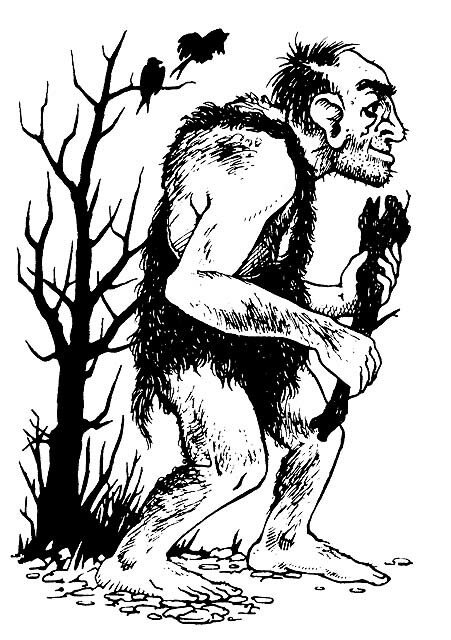 "In reimagining “Steading of the Hill Giant Chief,” I’ve inflicted some violence to the maps and encounters to make the adventure a fun and balanced 4th Edition experience, acknowledging that this creates some mapping challenges for Dungeon Masters with limited tabletop space. I hope that DMs with fond memories of the original read this latest incarnation and feel the same overwhelming desire to run the adventure as I felt back in 1980, when I read Gary Gygax’s adventure for the first time." Objectively this version of the Steading is well composed. The stat blocks don't over power the rest of the content. It seems the evolution of 4e's module design process has improved. Much like the original there is plenty of places to search and discover like a good old dungeon crawl, there is fabulous loot to be had, and there is enough new twists here to even surprise someone who has played the original. The cartography by Mike Schley is top notch as well. Written for PCs of 12th to 14th level, the module starts off with four different "hooks" called major and minor quests that PCs can try to achieve, for example freeing dwarven slaves or finding an abandoned temple. This cleverly gives PCs something to do beyond just hack and slashing their way through the Steading. Perkins has also chosen to retain one of my favorite parts of the old module, the random chart of mundane treasures found in giant's bags. Thumbs up there. I have to mention the module makes no specific reference to the World of Greyhawk not that it is necessary or relevant to an adventure that has always been iconic enough to work in any setting, but it would've been a plus. I will tease however that the module has a couple Greyhawkian easter eggs, so there is that (sorry gang, no spoilers). All in all the module is worth a look provided you have the subscription to get it. For Greyhawk completists who aren't into 4e like me, the adaptation is not too thick that it can't be retrofitted to previous editions on the fly. As Chris Perkins mentions in the document, this is only the first of a series that will adapt all three of Against the Giants mods to 4e. So yes in Dungeon 199 there will be Glacial Rift of the Frost Giant Jarl and in Dungeon 200, Hall of the Fire Giant King. But before you call Perkins lazy, there is a new chapter preceding those that has me intrigued. Dungeon 198 will debut "Warren of the Stone Giant Thane". I can't wait to see what comes of this one, I'll keep you updated. Not much was found in the hold of the crashed orcish galley save a tattered flag, (dark blue field with a black skull) and several wax sealed barrels. A few of them as the crew guessed correctly, turned out to be the most revolting orc grog in the world and it was thus thrown overboard. One would swear it caused sharks to be repelled and dead sahuagin to rise to the surface. The other barrels were much more of a haul, all bore the marks of the weaponry foundries of the South Province of Aerdy. The crew was refitted with any small arms found from that cache and sail was set in haste to Scant. 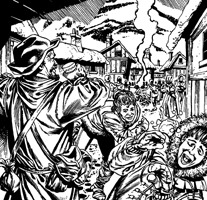 During that short leg of the voyage, those with zombie bites began to show symptoms of the dreaded "shakes" (Dexterity loss). Brother Pickles, who had bit a zombie with his own mouth inexplicably was fine, but the rail thin Mr. Hammond and the wiry Olman, Cuahto were both affected. Though initially shaking and in danger of falling from the rigging, Cuahto recovered fast with the aid of the ship's surgeon Caine the Despised and soon retreated back to his crow's nest to admire his new dagger and the gems secretly recovered from the galley. The shakes hit Victor so badly that the poor boson could not perform his duties and was kept in his hammock below deck under the less than sympathetic care of Caine. Whispers of plague circulated among the crew and young, gullible Big Tomas was nearly conned into throwing Victor overboard until Captain Rennaud stepped in and dispelled their superstitous fears. Vic would recover slowly but he had suffered so much he wished he were dead. Cuahto meanwhile, was ratted out by someone to Skullbreaker the quartermaster about finding loot aboard the galley and so for not registering the gems (the dagger was his by rights of spotting the ship) he received a dozen lashes in front of everyone. The uncoinscious Olman went back into the care of Caine. In the lawful port of Scant, capital of the Iron League nation of Onnwal, the Bird of Prey entered the great harbor and as the crew made to resupply, the captain and his still sore and healing officers went into town to search for the sage Lockard Meek and perhaps buy some new gear. The city of Scant is known for its martial craftsmen; dwarves, gnomes, clerics of Fortubo, and adherents of Daern and Murlynd. Here to the protagonist's delight was a chance to acquire blackpowder weapons that are so storied in the southern seas. Most of them spent considerable savings in the forges of Scant including the captain who added a second light cannon to his caravel. Cuahto also consulted the artificers about his dagger found in the eye of an orc pirate. Marked with the sigil of the Iron League and stamped with a stylized "B" he found out the weapon was a magical crafting of a locally renowned wizard named Bigby. A rare treasure indeed. Now armed with these newfangled weapons, the unproficient sailors went back to the actual job of finding the sage. Lastly, I'd like to give a special Needfest thanks to Maldin's Greyhawk for hosting the entire Greyhawk Comic collection. Now without further ado....here is this year's Needfest Special! Enjoy! 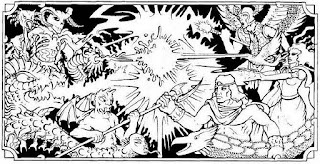 Welcome back Lords of Greyhawk to another installment of the Ring of Five Questions! Last time we put the wise and scholarly greysage Jospeh Bloch into the ring. This time however, I have summoned a legendary personage here to answer the five questions, Drawmij himself: James M. Ward. Mr. Ward is best known for his nearly two decades of work with TSR which included the classic sci-fi game Metamorphosis Alpha, post apocalyptic Gamma World, and the incomparable Deities & Demigods. 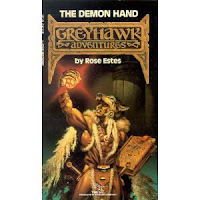 Of course in Greyhawk circles he will forever be remembered for the excellent hardback sourcebook Greyhawk Adventures. More recently James has worked with Troll Lord Games and this year has embarked on starting his own RPG company along with Tim Kask and Frank Mentzer called Eldritch Enterprises. Okay, enough backstory, let's get James into the Ring! Q1. I'm sure you know your way around the Darlene map. Which part of the World of Greyhawk is your favorite? James: I have many fond memories about the city of Greyhawk and Greyhawk castle. Gary made that part of the country come alive and I had the honor of learning how to play the game working with the people and places in and around Greyhawk city. Q2. I ask everyone this next one. If you could be any one Greyhawk deity which would it be? James: I am a Greyhawk deity, although I won't say which one. Q3. Your hardback sourcebook Greyhawk Adventures is a classic. Was there any content or ideas left out due to space or editing? James: I always work from very exact outlines. Everything in that book was planned to a T and nothing was left out or not added at the last minute. I had a lot of work in its creation, but I designed the product and it came out in budget and on time. Q4. You're well known for your scifi and post-apocalyptic games. Do you approve of Greyhawk's history of genre mixing or should have it been solidly medieval. James: That's an excellent question. Gary could do no wrong in my eyes. If he wanted to put a buried spaceship in his game I was happy to playtest it and get almost killed several times. I was extremely lucky to be part of his play testing group as he was designing his classic adventures. While lots of gamers know me for my science fiction, I've written more fantasy products than scifi ones. I like to do both. Q5. Which module or book do you look back on as most influential to your more recent work? James: Over the recent years I'm extremely proud of my Troll Lords products. TAINTED LANDS is fantasy horror and OF GODS AND MONSTERS is about various pantheons of gods, heroes, and creatures. Like everything else I grow better with the more experience I get in writing products. * Have questions of your own for James M. Ward or other old school authors? James can frequently be found on the forums for the fansite Dragonsfoot. Check it out. A still smoldering wrecked slave galley belonging to the most inept pirates of the seas, Pomarji orcs was spotted half underwater and half beached onto the jagged rocks of it's homeland. Captain Rennaud decided to send Lt. Tydan and his picked away team to check it for any survivors or better yet, salvage. It would need to be a rush job though since these were dangerous waters to linger in. Tydan took with him Victor, Pickles, Cuahto, Morgan and his defacto female bodyguard Scar Medorga. At the wreckage they found a gaping hole between the above-water deckboards and the bulk of the galley still below the turbulent waters. Morgan and Pickles were sent to search above by way of grapple line while the Amedio ranger and the daring Mr. Hammond took a big gulp of air to search the holds below water. Araxo and Scar of course supervised from the rowboat. On the slanting wreckage Morgan and Pickles found an orc pinned to the deck by a ballista bolt and burned to a cinder. Evidence of a sea battle not long ago. They also broke into a fixed sea chest containing a couple decent pairs of ball and chain manacles. Below the water Victor and Cuahto would also find evidence of the galley's crew as they swam along the many rows of oar-benches where the drowned bodies of human slaves were still chained to their posts. Headed for a lower cargo deck, they would soon surface to find a pocket of air at the rear of the galley. Here waist deep in water, sat an orc drummer killed by a broken piece of the ship's deck that pinned him to the wall. 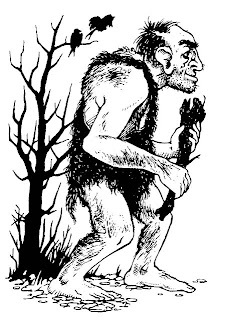 In the orc's hand was clutched a small leather sack which Cuahto waded over to retrieve. Just then Hammond saw several dark forms rise up from the water next to his ranger ally; water-bloated humanoid soldiers, soggy and stinking of death. These were surely Drowned Ones of tavern tales, slain sailors raised by Nerull to terrorize coastal lands. One of the grisly pack had a masterful dagger still embedded in its eye-socket, and all of them let out a curdling groan that even Araxo heard from the rowboat not far away. Cuahto figured the sea zombies would be slow and greedily wanted the plunged dagger, so he dove below the waist deep water and came up from behind it to grab the pommel but it wouldn't budge. Victor could only draw his weapon as the pack surged ahead faster then expected to surround them both. Outside, Araxo indicated to Morgan and Pickles that the others were in trouble below, so he signalled for them to go help. Pickles didn't hesitate and executed a perfect dive into the waterlogged breach, even with two pairs of manacles around his neck. Morgan, less encumbered dove behind him but faltered and couldn't get beneath the water as swiftly. Cuahto and Victor fought off the fists and bites of the orcish zombies, until the noise of voices and splashing attracted their attention. All but two of the drowned ones soon submerged, evaded blades and swam in the direction of the other crew members with stunning speed. Pickles swam along the drowned oarsmen and came face to face with the zombies swimming right at him. Harpoon in hand he stuck one and was surprised to see the others bypass him for the well lit waters behind him where Morgan's feet kicked. Rising from the deep, one of the zombies bit Morgan sending him into a panic toward the rowboat where Araxo and Scar watched in disbelief with weapons in hand. They had backed off the launch just in case making his flight that much longer. Below deck Victor managed to finish off one zombie but Cuahto was being wore down by the dagger-eyed drowned one. Pickles wrestled beneath the water and was bit as well, in a fit of rage he bit it back sending water into his lungs. He wouldn't have much longer to get back to air. Just a quick plug this weekend. I'm sure many of you who frequently use Facebook or know about Anna Meyer's Atlas of the Flanaess site, have by now joined her Facebook group, the Flanaess Geographical Society. This social network is better than most you'll ever join in that Anna regularly keeps up with her mapping progress here, and other Greyhawkian cartographers have begun to display, poll and discuss their own projects as well. To date the membership for the group is up to 130 members and it hasn't slowed down. So if you haven't been directed here yet, you have now. Join in on this informative mapping group! "A final confrontation awaits Aalas in the Fane of Tiamat but the awakening of a powerful evil seems inevitable whether he wins or loses......."
Over at the Greyhawk fansite, Canonfire! is the second episode by Flint in his action packed fiction series, Return of the Spider Queen. This time we pick up where we left off, Aalas and company are still dealing with hobgoblins, wraiths and worse, Azarr Kul. Read and enjoy! Well folks I got good news, it's finally time to raise anchor on the Sea Princes campaign again! Though I didn't get much done during my short hiatus like I hoped, I did manage to come up with character sketches of the main players characters! For a refresher, here is some of the NPC crew from the Bird of Prey that I posted a while back. I hope you enjoy the art and look forward to more high seas action in the coming weeks. Captain Rennaud's ship the Bird of Prey is among the more progressive in the Prince's fleet, employing more than one 'savage' Olman as not only a regular deckhand but now as the primary lookout in the crow's nest. Cuahtehmoc is no slouch though, he has proven his worth time and again in both battle and exploration. With his deadly obsidian bladed weapon in hand, Cuahto is often seen at the side of first mate Araxo Tydan who enjoys a wide berth from the more surly members of the ship. Mysterious in origin, Cuahtehmoc hails from a region of the Amedio coast not seen on many maps found in the Flanaess. Whether they ever revisit his homeland again is up to fate. Henri Morgan of Sasserine was picked up by the Bird of Prey to fill out their crew after a sea battle with a Crimson Fleet pirate ship called the Hideous. Formerly a minor guard for the weatlhy Taskerhill family, Henri proved his worth by joining in a stealth mission aboard the Hideous to rescue Anna Taskerhill from the clutches of Captain McGrath and his harpy pets. Since then Henri has shown a knack for short blades and a short temper in using them, which is why he was evidently eager to leave the comforts of Sasserine life. Whether Henri earns fame or infamy siding with the Sea Princes is still left to be seen. Brother Pickles is an enigma. No one knows his true name. He grew up on the docks with no known family except those who would give him food or teach him a skill. As an adult, most in the town of Port Toli know him as a slow-witted, rabble rousing cook with a penchant for strange recipes and cookware weaponry. Smart sailors recognize him as an acolyte of many transient priests including the equally delirious crank of a sea cleric Father Lork of Procan. As such, Pickles doesn't profess faith in a single deity, but instead worships all the myraid gods of the sea and sky. This fact has made him valuable to Captain Rennaud on the Bird of Prey and has kept the troubled Pickles busy otherwise he would've done something crazy like commit suicide by now. If there was ever an example of a salty, scurvy, rum-soaked, sea-dog on the Bird of Prey it is Victor Emmitt Hammond. Victor started life at sea young and has already seen many ports and many 'ladies' in other lands. His recent employ on the Bird of Prey so far has shown him the most action however. Victor's brand of swashbuckling bravado and flashy sword work has already earned him a promotion to bosun much to the rest of the crew's chagrin. Hammond however has higher aspirations to be a captain one day; and if not this ship then the perhaps the next. That is if he doesn't get himself killed first. Only time will tell. Araxo Tydan is the adopted son of the ruler of Port Toli, Count Erasmus Tydan. As such he has never been in favor much with his greedy, plotting father. Always a foppish, pest at court, Count Tydan finally relented to sending Araxo away on a voyage with one of his ships, the Bird of Prey. As the imposed second in command on the ship, the original crew is largely wary of this brat of a noble. Slowly he is winning some of the crew over to his side through his sly generosity, weasely charisma and the hiring (or press-ganging) of new deckhands who know nothing about him or his side-dealing schemes. In addition to Cuahtehmoc the ranger lookout, Araxo is often seen with the only female on the Bird of Prey, the Scar Medorga, leading to many rumors and jokes behind his back. All the rumors are unfounded so far and if Araxo ever ascends to the captaincy there will surely be hell to pay (or a bribe). Sunsebb has come to the land Greyfriends, so to warm you up for the coming season I bring to you another installment of the Ring of Five Questions! Last time we waxed nostalgic with Living Greyhawk's Paul Looby and before that the inestimable Allan Grohe. Venturing into the Ring today is another old school devotee of the Greyhawk setting that you might recognize: Joseph Bloch. Joseph is known for his influential article, See the Pomarj --and Die! way back in Dragon #167 and currently his equally astounding gaming blog Greyhawk Grognard. Joseph hasn't stopped there however, he has also earned a loyal following for his old school dungeon crawl adventure Castle of the Mad Archmage and is now hard at work developing his own D&D rules system and fantasy setting entitled Adventures Dark and Deep. Hard working indeed! Without further ado, let's summon Mr. Bloch into the Ring! Q1. I'm sure you know every hex on the Darlene map. What part of the World of Greyhawk is your favorite? Joseph: For RPGing, I would go with the area from the Kron Hills to Urnst. That's where most of my own Greyhawk campaigns have been based, with Hommlet and Greyhawk as the centers. However, I've always loved the idea of doing a wargames campaign in the Iron League/South Province area. Those Dragon articles in the early 1980's describing the war there have always intrigued me. That would make one hell of a miniatures campaign. Q3. Your excellent Pomarj article way back in Dragon #167 left me wanting more. Given the chance, what would have been your next article in Dragon? Joseph: I would have loved to do a series on some of the more prominent cities of the Flanaess. What is it that makes Niole Dra distinct from Verbobonc or Chathold? Sometimes the differentiations in rpg settings are negligible, but I would really love to demonstrate through things like architecture, customs, dress, etc. that one city is really different from another. Q4. You have an army going to war in the Flanaess. Which NPC (any class will do) would you choose as your general? Joseph: Cobb Darg, Lord High Mayor of Irongate. He fights with his wits as well as his warriors. Q5. You're no stranger to dungeon design. Which module (Greyhawk or not) do you look to for inspiration? Joseph: The Village of Hommlet (TSR), The Temple of Set (Judges Guild), and of course Castle Zagyg: The Upper Works (Troll Lords Games). And it's no coincidence that two of those were written by Gygax. 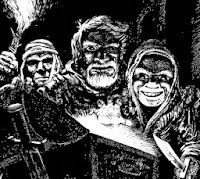 I know that large dungeon adventures are somewhat out of style at the moment (outside the OSR, at any rate), but I will always go back to the roots of the game to see what new twists can be put into the textbook setting.